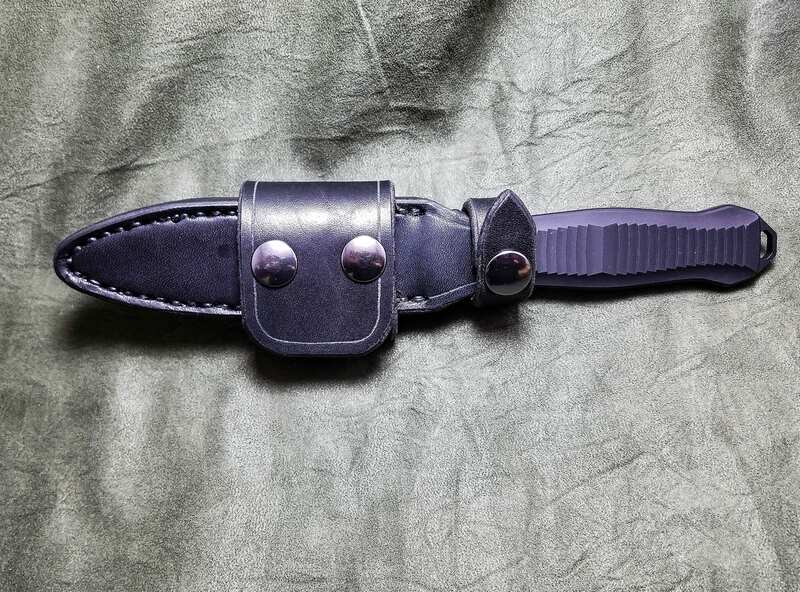 Handmade Leather Sheath for the Benchmade Fixed Infidel. 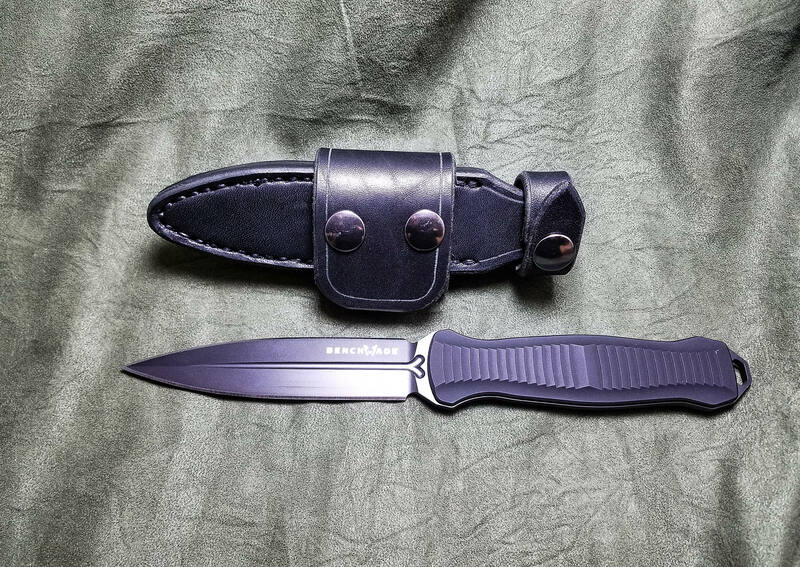 This is a handmade leather sheath for the Benchmade 133 Fixed Infidel. 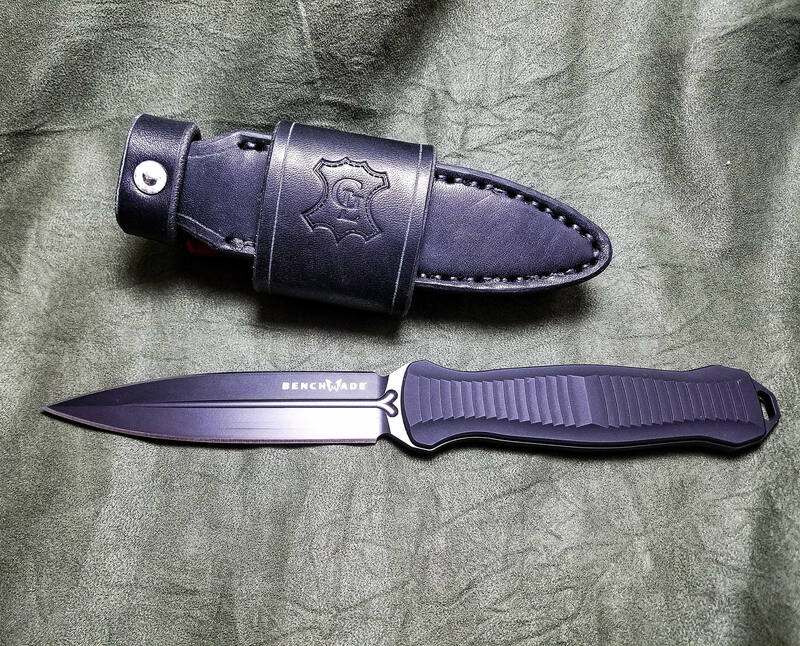 This sheath is an improvement over the Injection molded plastic sheath that comes stock from Benchmade. 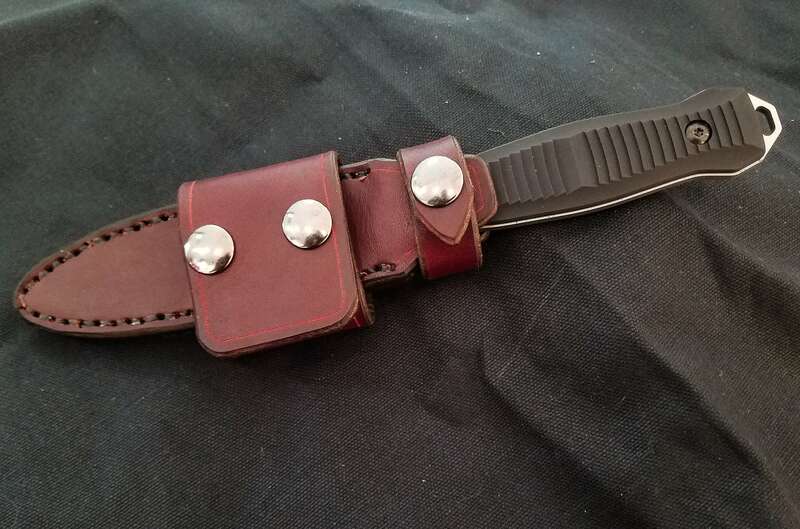 It is made out of 8-10 ounce latigo cowhide, (or 8-10 ounce vegetable tanned cowhide if the "natural" color is chosen) and features a 2" wide snap closure belt loop to carry the knife "scout style", and snap closure that loops over the handle to secure the knife in the sheath. 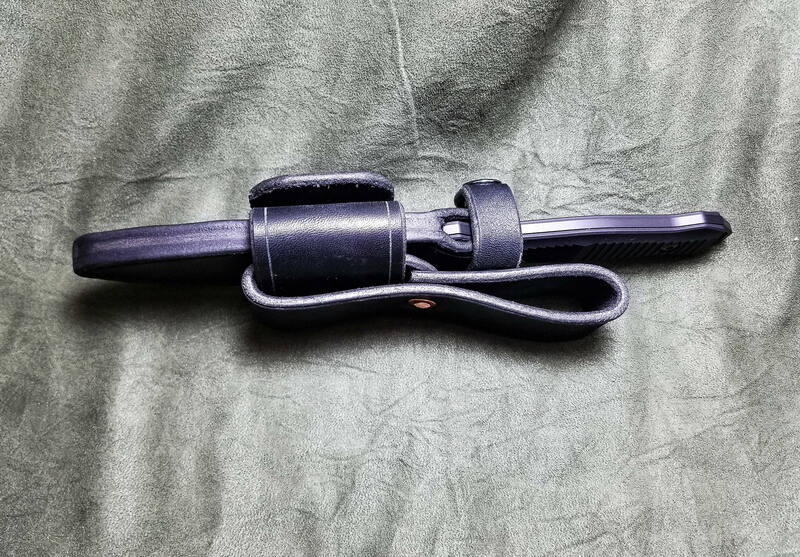 The sheath also has the option of including an extra belt loop, which attaches to the scout strap to allow the knife to be carried vertically.